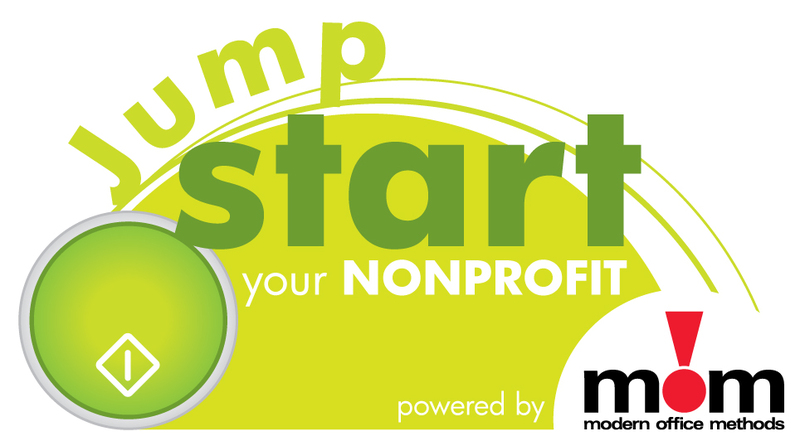 At MOM, we believe in giving back to our community and because of that belief, we started a nonprofit contest called Jump START Your Nonprofit in 2010. Each year we give away 3 – $10,000 office technology makeovers to a local nonprofit in Cincinnati, Dayton, and Columbus, OH. We are currently accepting applications for Jump START, so if you know of a nonprofit in need of new technology, tell them to register at www.momnet.com. Registration ends Wednesday, September 14, so hurry and get your applications in today! While they might not teach this in business school, giving back to your community is actually a moral responsibility of any business or corporation. Besides being the right thing to do, philanthropy just makes good business sense. It is difficult for a company to be successful if the community in which it operates is not successful. Help improve the climate in which you do business, and you will naturally help improve your business. In addition to positively impacting and strengthening your community, corporate giving reinforces a positive company image and reputation with clients, vendors, investors, and most importantly, the community. It has been well documented that consumers prefer to buy from businesses that give to charities and support worthy social causes. Recruitment is another area that is affected by corporate philanthropy, as your organization will be more favorable to potential employees. Corporate giving also inherently improves staff morale, promoting a sense of overall company pride and loyalty. Employees who feel that their business supports a good cause are more likely to think highly of their employer, take pride in their work and organization, and remain working there longer. Another benefit is improved teamwork — team building occurs when people set rewarding goals and work together to achieve them. And skills such as leadership, planning, and marketing are all enhanced as a result of philanthropy. Involve your employees in the planning process. Getting their input will help you identify the causes and charities that are most important to your staff and let them know that you respect and support their efforts. Offer a matching program for your employees’ donations. If they are donating their hard-earned money to charity, you should be, too. Consider a 2:1 program in which you contribute $2 for every $1 they donate. Publicly recognize and praise employees who donate their time or money to causes. This will encourage more giving by your staff and make those who give feel even more appreciated. Give to IRS-sanctioned charities so you can deduct your donations. Be sure to save your receipts in case of an audit. Donate to causes that align with your company’s mission. Plan your monetary giving strategy in advance with your accounting department to ensure you don’t run into any conflicts with your budget. Corporate giving is an endeavor that is both cost-effective and value-enhancing. Besides improving your community, a company that gives back will witness benefits in many different respects, including employee relations, customer loyalty, business performance, and marketing efforts. At MOM, we have been fortunate enough to see all of these benefits from our community involvement and that is why it has become a staple in our culture and is here to stay.